Video is hot. Is it not? As one of the most effective forms of communication, video has the power to capture and engage your audience in a way that can’t be matched by other forms of media. Response and retention rates for customers who watch videos are naturally higher. Whether it’s a webomercial, promotional video or corporate training video, our video experts personally manage the entire production of your video to ensure a professional creation. Video engages people in ways that text or photos cannot. When using video in your marketing campaigns, not only do you keep your visitor engaged longer, you bring a face or a voice, and a human element to your promotion, while still maintaining credibility. Video planted inside an email is said to be quite powerful and tends to boost conversion rates by as much as 50%. Using video as a marketing tool is one of the easiest and fastest growing trends in interactive media. According to a 2008 Kelsey Group study, 93% of 30 Dow Jones Average companies used video on their website. 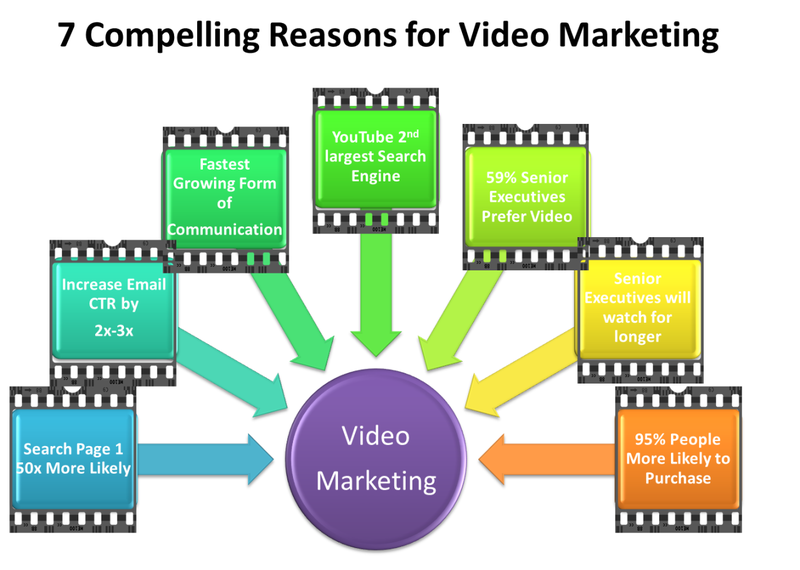 Your business can do the same and benefit by getting on the video bandwagon! Let us propel your business onward and upward with our affordable video marketing solutions. Your company will be a step ahead of your competition!